At St George’s we offer a broad and balanced curriculum which is in line with the new National Curriculum set out by the Government. Our curriculum is continually evolving to provide learning experiences which are designed to develop the fundamental skills which our children need to succeed and meet their personalised needs. It is relevant, engaging and interesting. Our aim is to deliver a curriculum which develops a wide range of skills and knowledge such as an enquiring mind, language and communication skills, creativity as well as the values and social skills needed in everyday life. In every year group throughout the school the teachers plan a series of topic-based approaches to learning which are firmly rooted upon a set of skills that are progressive. Wherever possible, the topic will be used to link together the core subjects such as English, Maths and Science. To add the ‘wow’ factor to these topics, each year group also plans a hands-on experience to introduce the topic or a really exciting visit to bring their learning to life. This may be in the form of a trip, for example, to Bishops Wood, The Commandery or a visit from Professor McGinty. Parents are invited into school to different events including Masses, class assemblies, praise assemblies, school performances and also they are also welcome to support staff on school trips. Find information about our curriculum subjects below. The following documents below show the Curriculum Overviews and the End of Year Expectations for each year group. These documents are shared with parents/carers at the 'meet the teacher evening' held at the start of the academic year. schooling, there are also national tests which must be taken by all children in state schools. New tests were produced for the summer of 2016 onwards to assess work from the new curriculum. Often informally known as ‘SATs’, the National Curriculum Tests are compulsory for children at the end of Year 2 and Year 6. Children in these year groups undertake tests in Reading, Mathematics, and Grammar, Punctuation & Spelling. The new National Curriculum Tests for children in Year 2 and Year 6 take place each summer from 2016. Tests for Year 6 pupils are sent away for marking, and results are reported to schools and parents at the end of the year. Where previously these tests – and other teacher assessments – were graded in levels (normally numbering between Level 1 and Level 6 in primary school), from 2016 the tests results are reported as a scaled score, with a score of 100 representing the expected level. 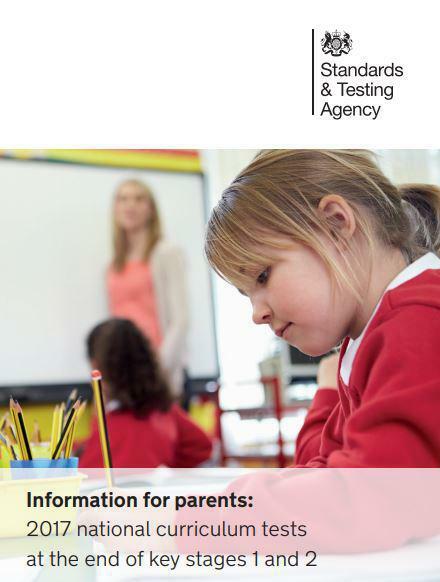 All children in Year 1 are screened using the National Assessment materials in the summer term. If the children in Year 1 do not reach the required standard they will be retested when they are in Year 2. The 'Phonics' section on our website gives further information about the teaching of phonics.